Hi there! TGIF, right? Man, I am so ready for this weekend! Anybody ready to see the Seahawks beat the Patriots? I am! Ha!! I started off by spraying some Distress Ink Sprays in Salty Ocean and Mowed Lawn. After hitting the watercolor paper with my heat gun and drying the spray ink completely, I drew in the flowers with a Fude Ball pen. 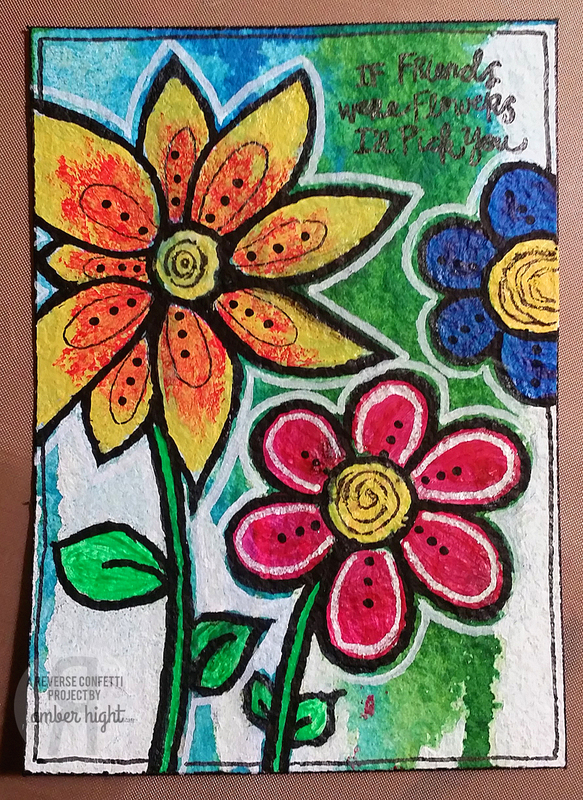 Next, I painted the flowers in with Golden's Flourescent Magenta, Dina Wakley's Lemon, and Blick's Dark Blue matte acrylic ink. I went over the flowers with a black Posca paint marker in black and a Molotow paint pen in white. 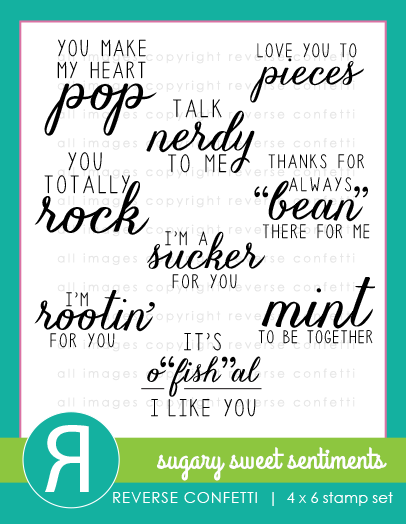 The sentiment is from Reverse Confetti's Love Blooms! I framed the piece in a 5'x7' Ikea frame and it's sitting on my friends desk, waiting for her to discover on Monday:) Hope she loves it...but I was super nervous leaving it. I've never given my art away and it's definitely making me nervous, haha!! Hello!! 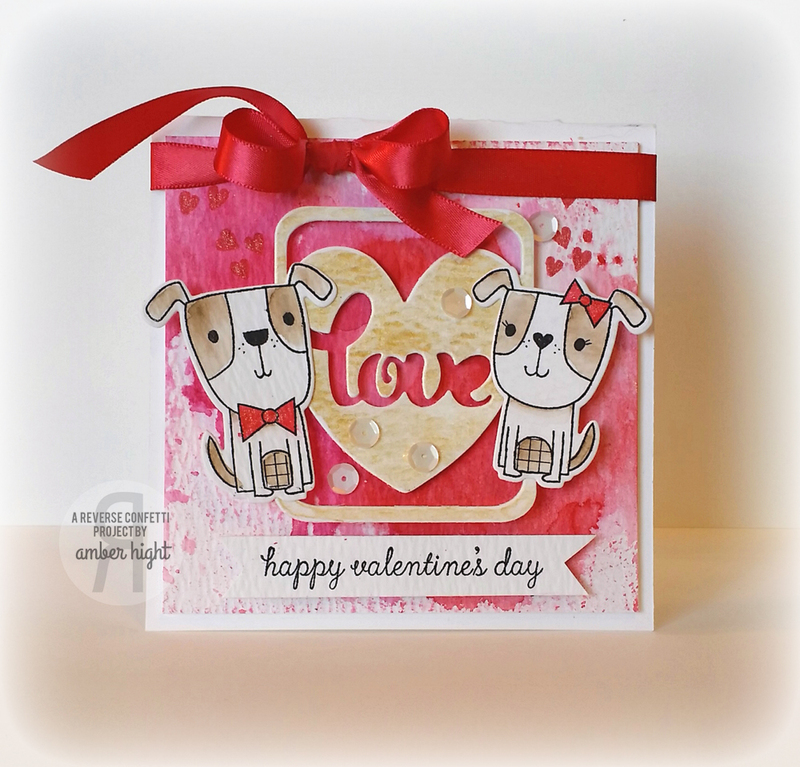 I'm here today with a card I created using Butterfly Reflections Inks's January mood board! 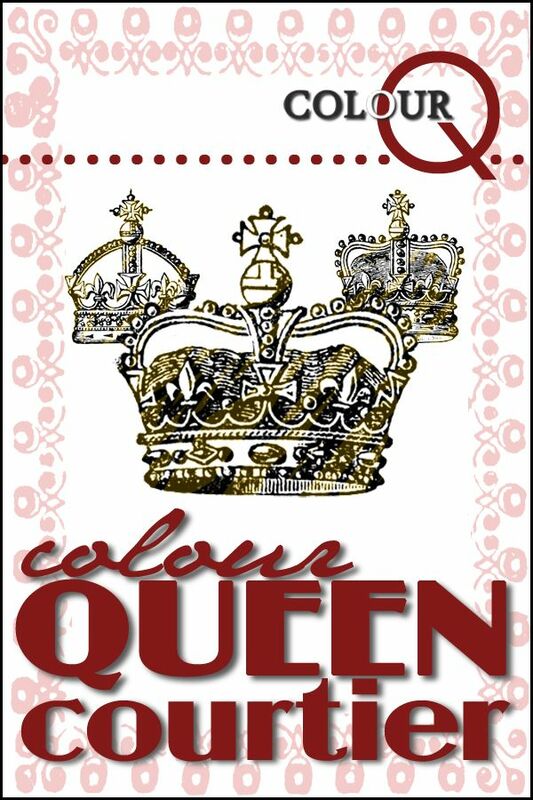 Check out these fab images and colors. 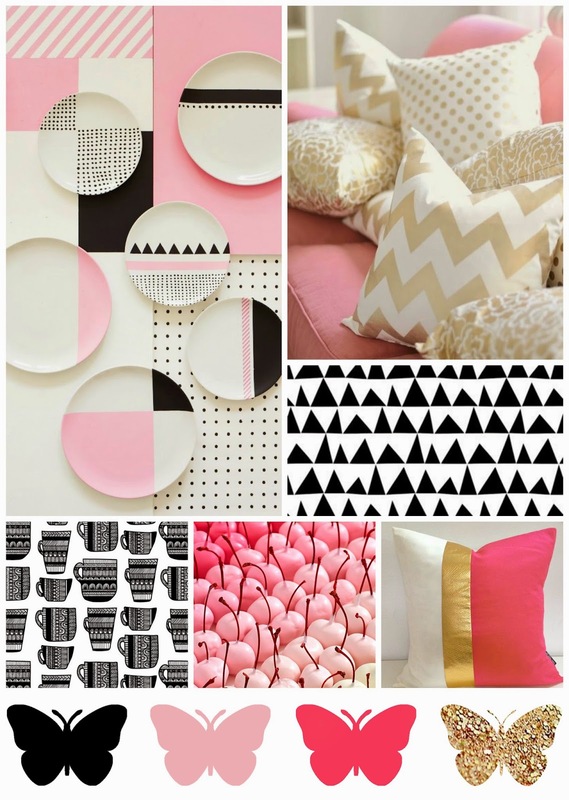 If there is pink, gold, and black...I'm in! 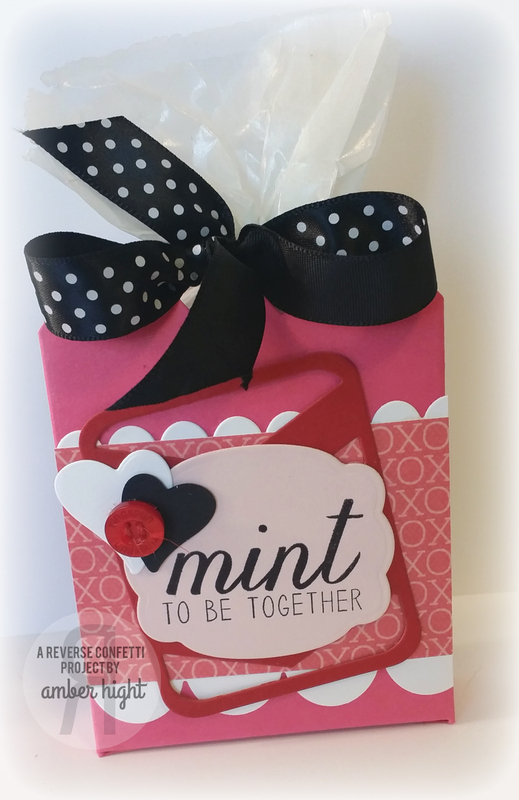 Here's my card using some new Reverse Confetti goodies! 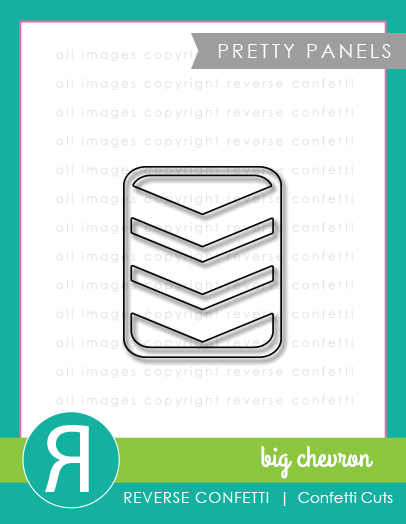 I was immediately drawn to the image of the white pillows with gold chevrons and was inspired to pull out the new Pretty Panels Big Chevrons. I cut it out of gold cardstock. 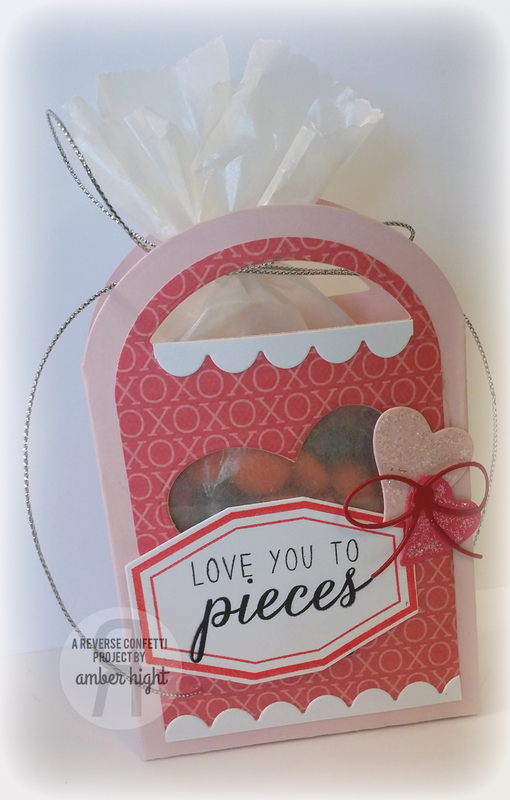 The flowers and sentiment are from Love Blooms and coordinating Love Blooms Confetti Cuts. I created the background with my Picked Raspberries Distress Stain spray. I squirted a small puddle on my craft mat and using my wet paint brush, just kind of painted some color on the watercolor paper. Then I layered everything on top once the background was dry. Thanks for stopping by today, hope you have a great weekend!!! Good morning!! 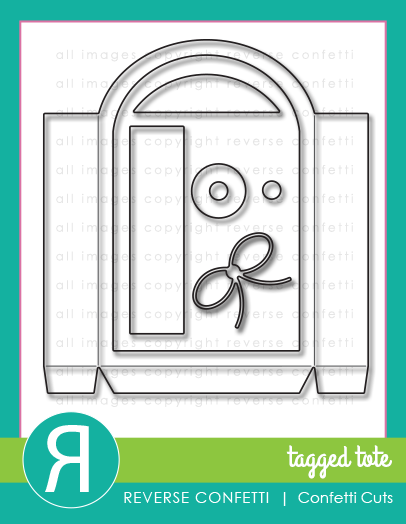 I'm here with a quick little post using some of the newly released Reverse Confetti stamps!! 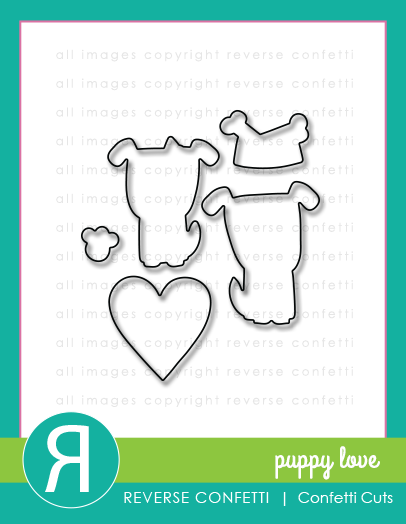 I just love these adorable pups from Puppy Love!! 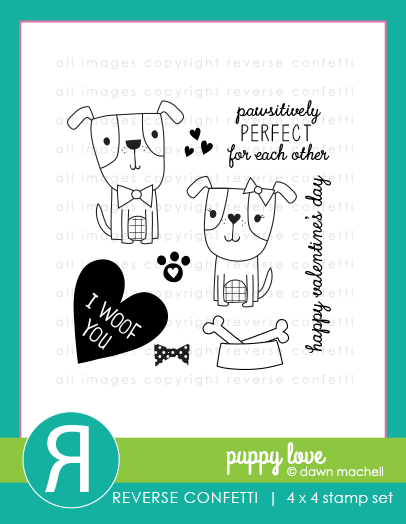 I cut them out with the matching Puppy Love Confetti Cuts and then colored them in with my Tombow markers. 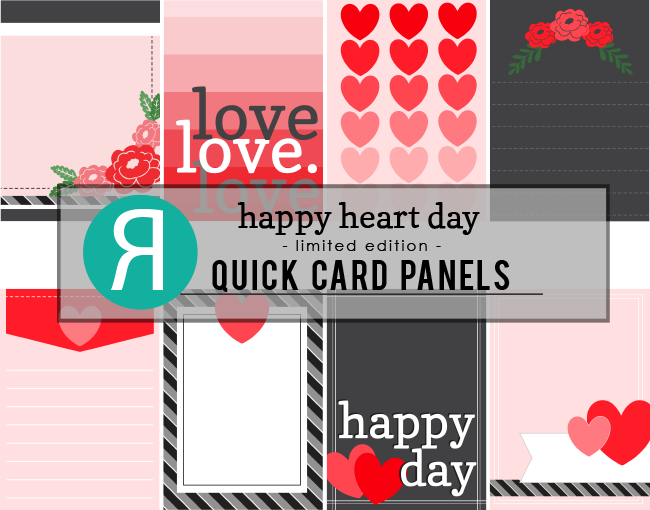 I cut out a panel using the new Pretty Panel Heart Love Confetti Cuts. I wanted to make it a shimmery gold so I spritzed some Heidi Swapp Gold Color Shine mist on my craft mat and then painted it on the pretty panel with a paint brush. The background was created by smooshing Festive Berries and Picked Raspberries Distress Inks on my craft mat, spritzing them with water, and then smooshing my watercolor base in the ink and letting the colors mix together! 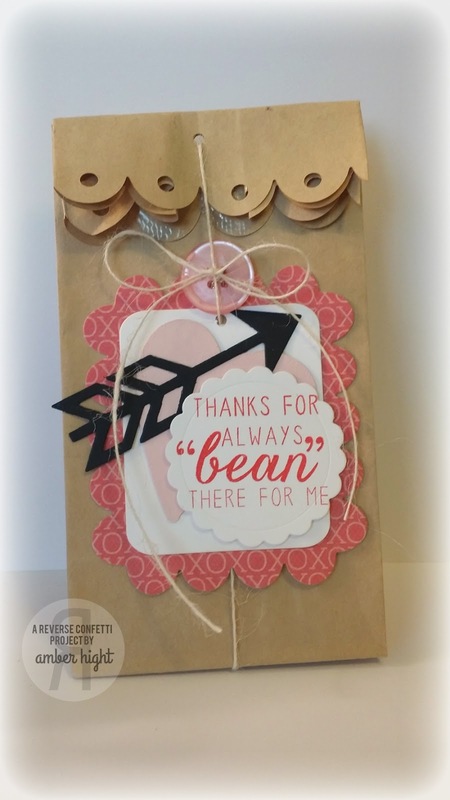 I love that technique:) I stamped the sentiment on a strip of cardstock and then snipped the edges into a flag shape. That's all I have today, gotta get ready for work! Hope you have a terrific Thursday, Friends!! Good morning, friends! How is everyone today? 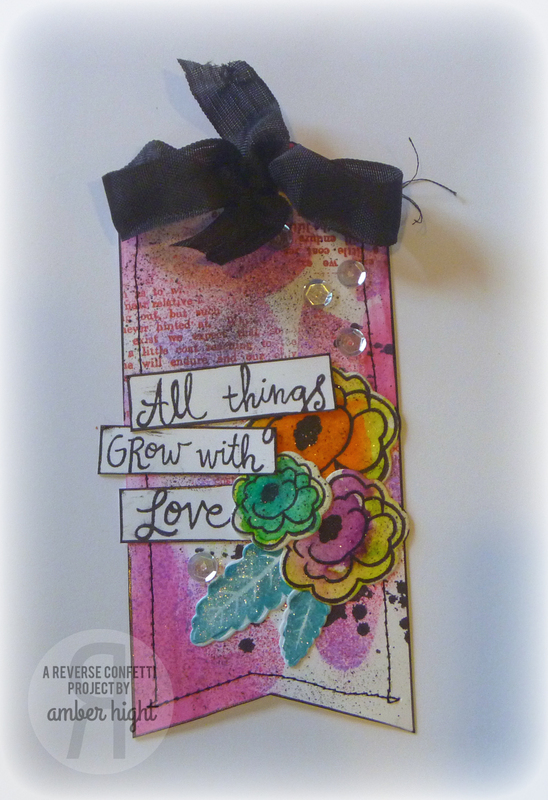 I am here today with a quick card using one of the new Reverse Confetti releases, Love Blooms! I had created this background piece several months ago, and it's just been sitting in my "unfinished" pile. 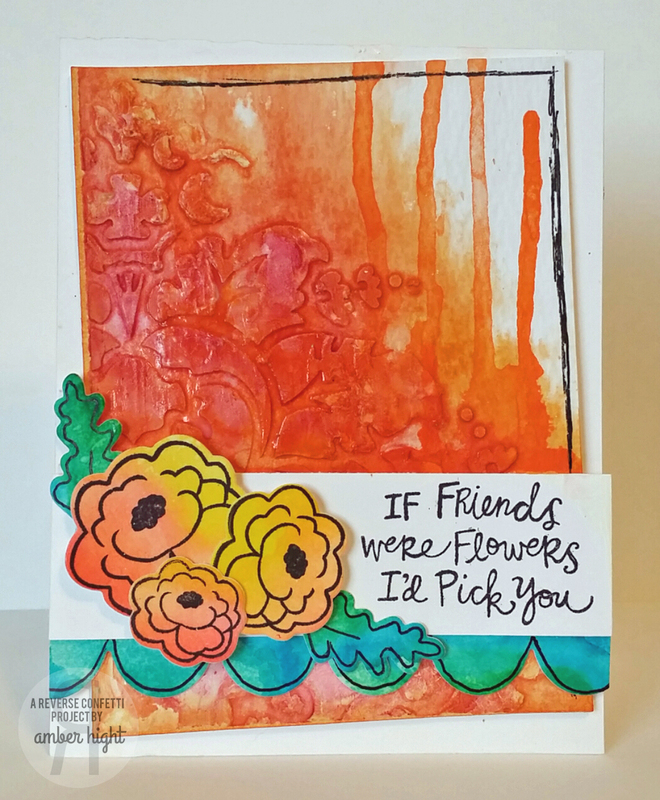 Today, as I was trying to figure out what I wanted to do, this piece caught my eye and I thought the embossed flowers looked like the blooms in Love Blooms. 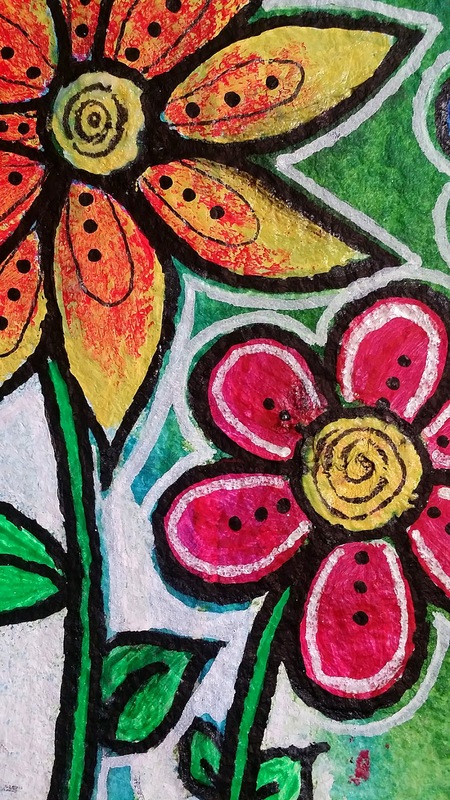 The piece was created by applying modeling paste through the large flower stencil on a piece of watercolor paper. I let that dry and then sprayed a couple of my Dylusions Ink Sprays in pink and orange. Pretty easy technique and it really is fun:) Today, I created a yellow and orange watercolor piece (just by coloring some watercolor paper with an orange and yellow Tombow marker and then blending the colors with a wet paintbrush) and cut three of the blooms with the Love Blooms Confetti Cuts. I had a blue/green watercolor scrap in my bin also so I cut some leaves from Love Blooms Confetti Cuts and the scalloped border with the Double Edge Scallop Border Confetti Cuts. 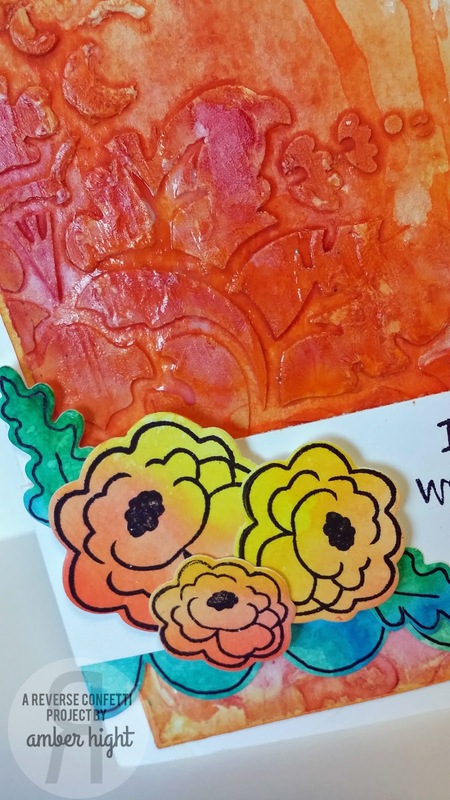 When I was finished, I thought the piece needed a little shine, so I rubbed a little bit of glazing medium over the embossed flower and now it's all shiny, love it! Hi there! 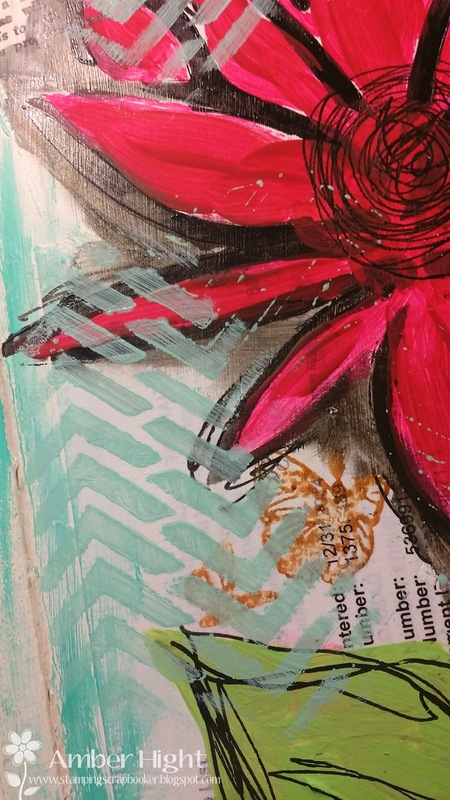 I'm here today with a quick post of my two latest art journal pages from this weekend! First up is my Week 2 for the DLP. This week, we're focusing on Gesso and New Beginnings. I saw this fantastic framed picture that had this quote on it and had already heard what this week's journaling prompt was, so I immediately knew I wanted to use this quote on my page. The framed piece even had the "waiting" in book paper, I love finding inspiration like that! Aside from the normal use of gesso by prepping my pages with gesso, I tinted some turqouise paint with gesso. The light blue in the flowers is the tinted paint, and the darker color of teal is the straight undiluted color. This is a giant stencil I got from Michaels I think, or Hobby Lobby? I hit both of those stores this weekend so not sure, haha! I watercolored some yellow paint on the inside of the flowers and some blue on the outside of the flowers. 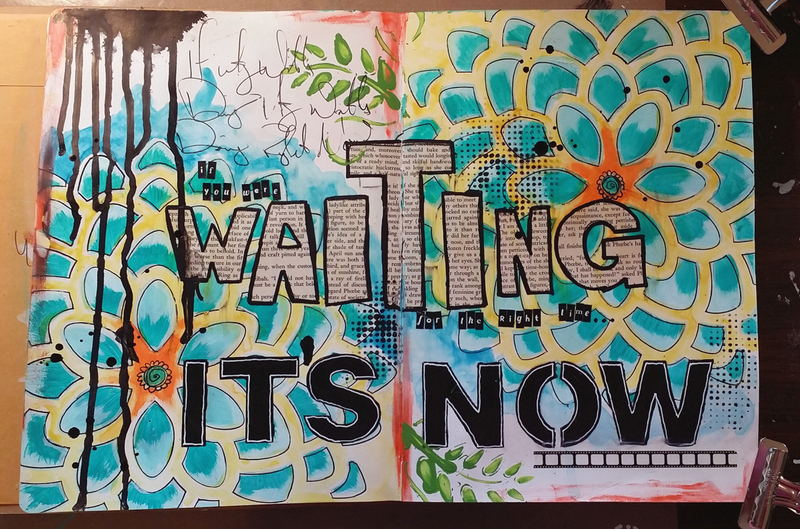 The "it's now" was done by tracing the letters of some stencils and then painting them black and drawing a white line on the inside of the letters with my Uniball Signo pen. 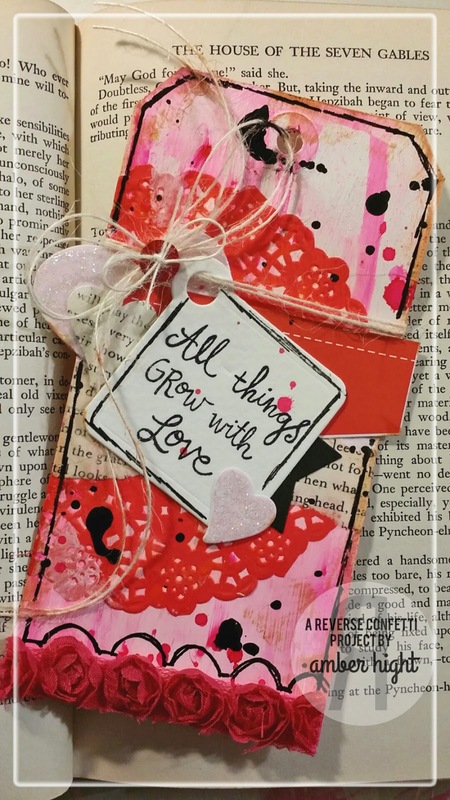 Next up is my page for Week 1 of Donna Downey's Inspiration Wednesday! This page was so fun! I tried the same glazing technique that Donna did on her page and absolutely love how it came out. I'll be playing with this technique a lot more in the future! I stamped a couple of Dina Wakley's scribbly birds and painted them in with some acrylic paint. 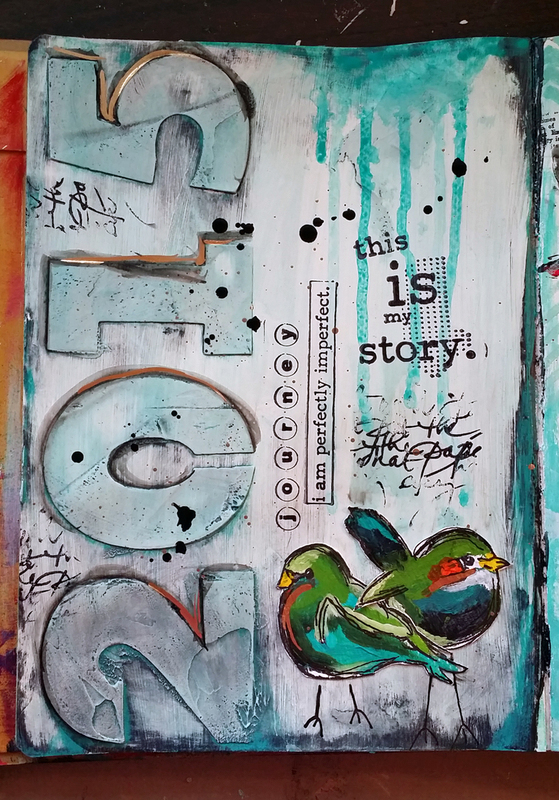 I stamped a few random Unity sentiments and added some turqouise drips. I also added a little gold gilding. This is a new product I picked up this week. It's by Martha Stewart and it's liquid gold, so cool! I outlined the numbers, parts of the birds, and then did some gold splatters and it looks so awesome IRL!! Hello there! 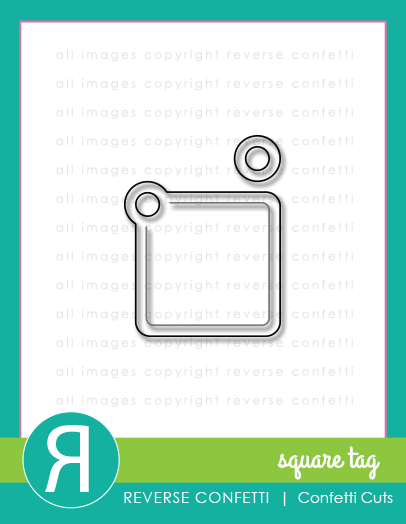 I am here today with a project for this month's Sketch for You to Try (SFYTT). Jen has a super fun sketch this month, hope you can play along! I started by gesso'ing a tag. I forgot what size this tag is but I think it's one of the bigger ones from Ranger. After applying gesso, I spritzed some Pink Bubblegum Dylusions ink and some water until I got the fund drippy background I wanted. Next I mod podged a red doily, did some ink splattering, and then added my layers. 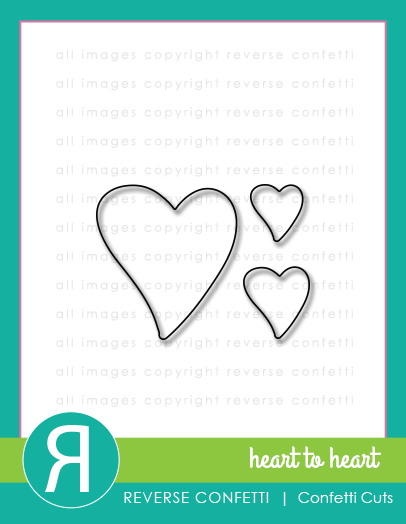 I cut three hearts from the Heart to Heart Confetti Cuts. The largest and smallest heart I cut out of the pink Happy Heart Day Quick Card Panel and the middle sized heart I cut from book paper. 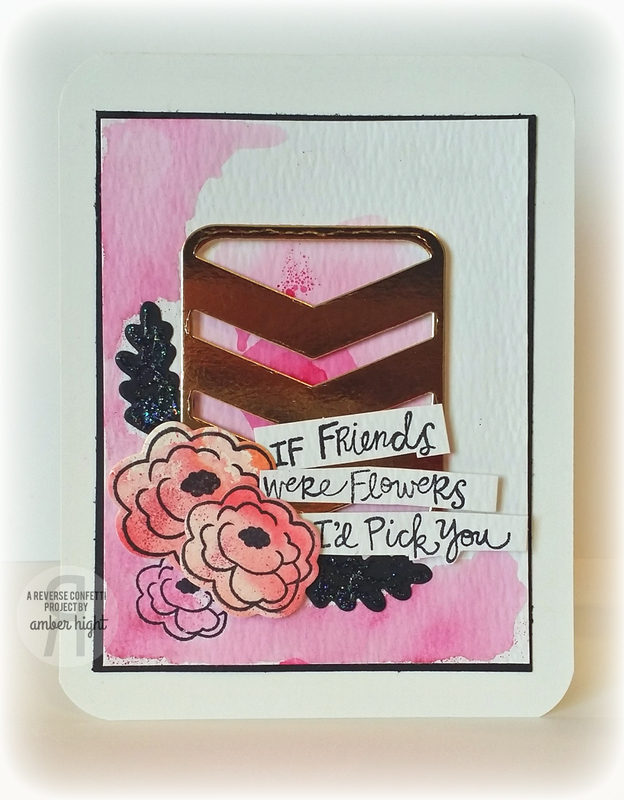 From that pink Quick Card Panel, I cut the red chevron shape and glued it down, that's the piece you see right behind the sentiment. 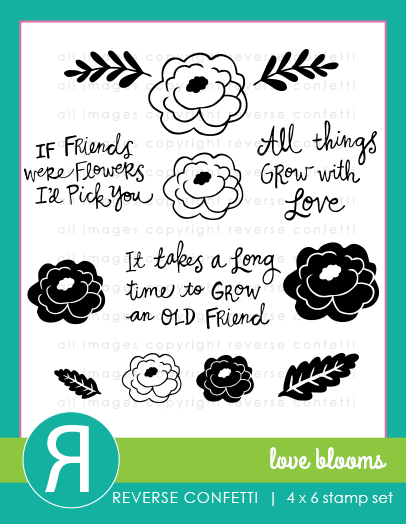 I stamped the sentiment from Love Blooms on the new Square Tag. 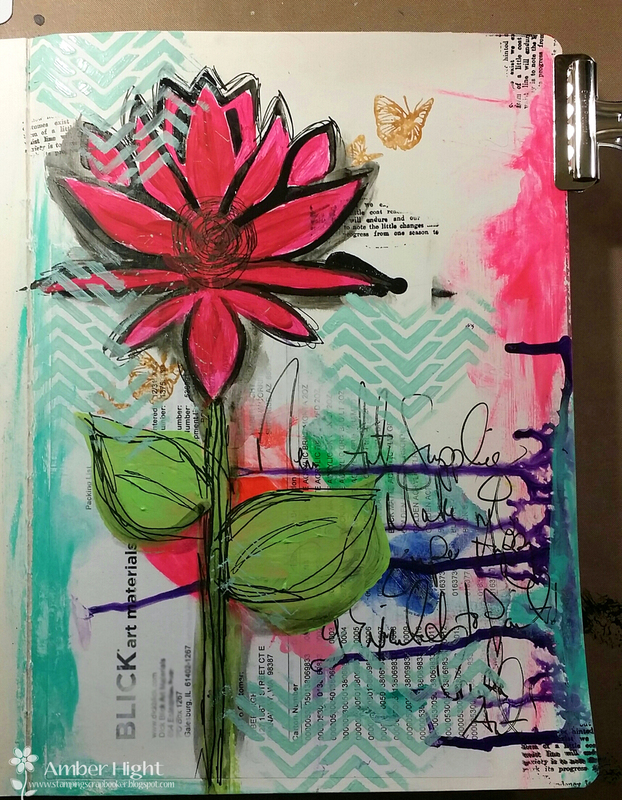 I wanted to share my latest art journal page today! I had fun just creating for the sake of my sanity. I worked on this page on and off for a couple days and really love where it ended up! This is a page I created in my large Dylusions journal! I have a couple of these journals going, one for fun (this page) and another for the Documented Life Project! For this page, I started by gesso'ing the whole page and letting it dry. Next, I collaged my latest Blick Art Supplies invoice on the background. I recently got this amazing package in the mail and was so inspired, I wanted to include my invoice on this page, lol! 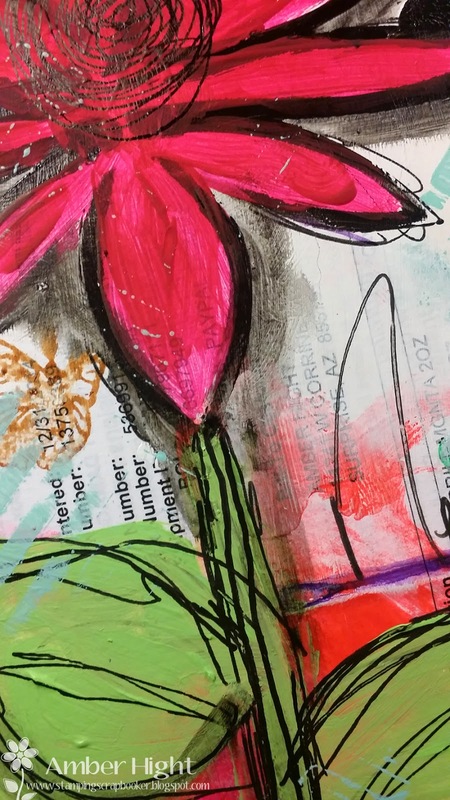 That's what I love about art journaling, I can do it if I want to! 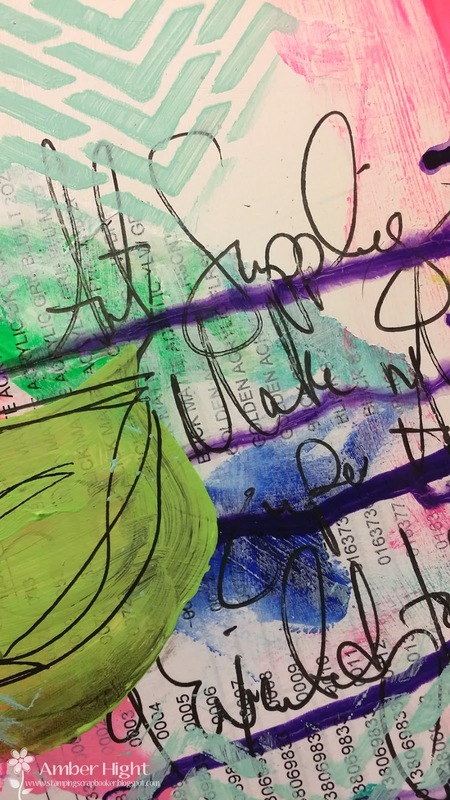 I did some loopy journaling on these drips created with some purple Golden fluid arylic paint. I loved how these drips created the perfect journaling space, ala Dina Wakley! Thanks for stopping by, hope you have a fantastic weekend!!! Reverse Confetti Release Day Hop! Hi there!! Have you been following along with the sneak peeks this week??? The new January Release is NOW AVAILABLE!!!!!!!!!! WOOP!!! 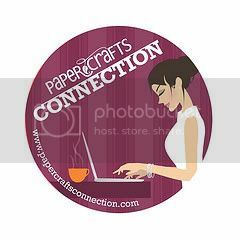 You should be coming to me from Leigh Penner's Blog! If not, it would be worth your while to start back at the Reverse Confetti Blog so you don't miss a single blog post! 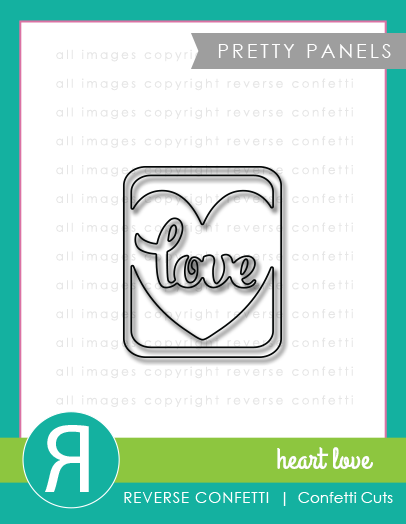 There are so many amazing stamp sets and dies now available, hope you're able to get what your heart desires!! 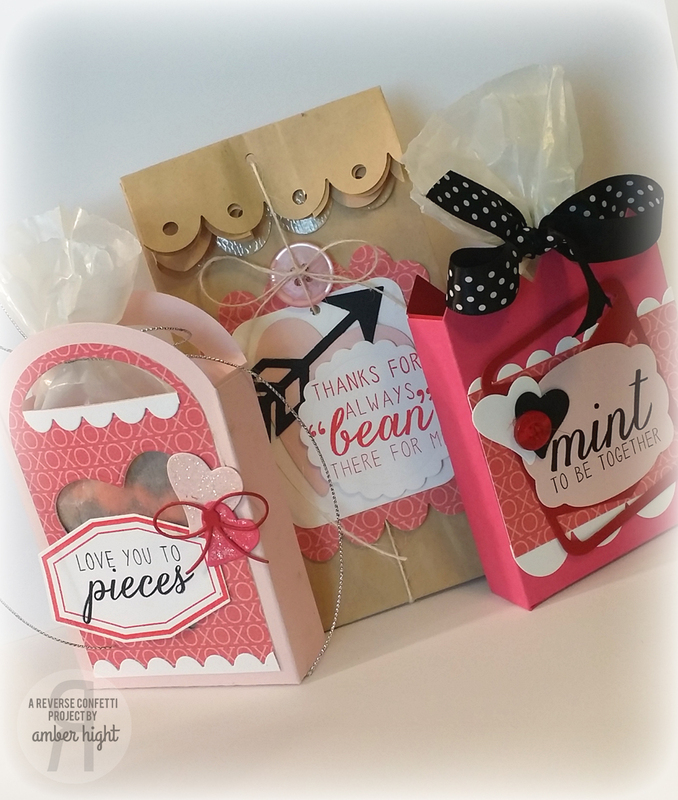 I have one more project to share today, using the new Sugary Sweets stamp set and a few of our treat box dies! I've never been good at creating treat boxes or 3D projects or anything like that. This is where RC dies come in...they're amazing and fool proof! 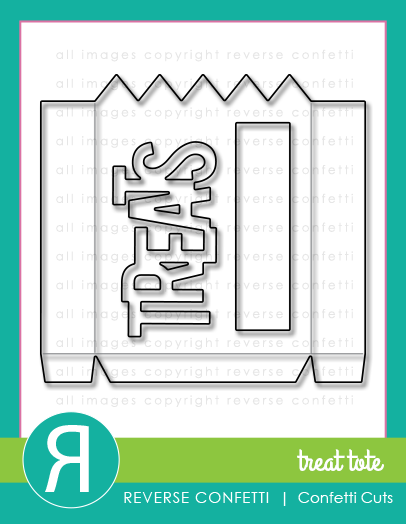 Combine the stamp sets AND these treat boxes? 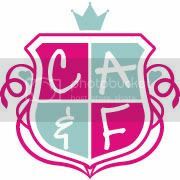 FORGETABOUTIT!!! Now you're off to see what the amazing Laurie Willison has created for you!!! Happy Hopping and Happy Shopping!!! Hey there! Welcome to the last day of sneak peeks! 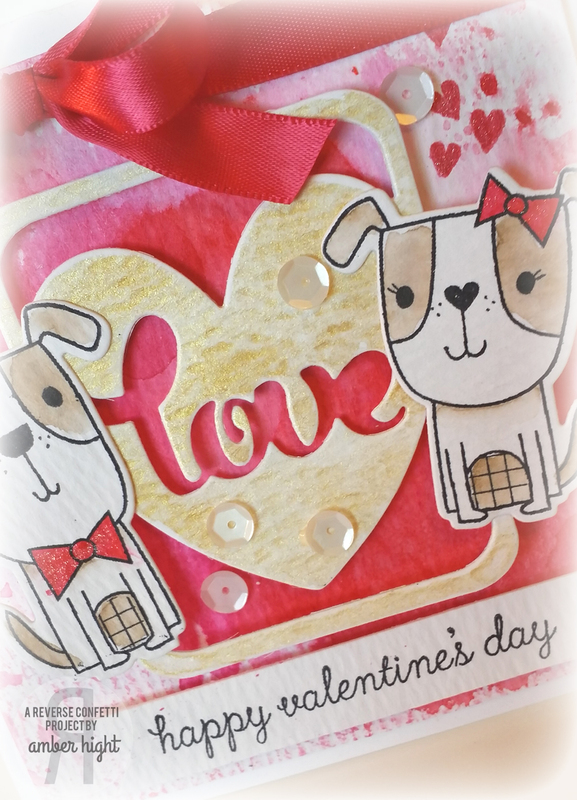 Today, the team is sharing sneaks of two new sets, Love Blooms (With coordinating Confetti Cuts) and Sugary Sweet Sentiments! 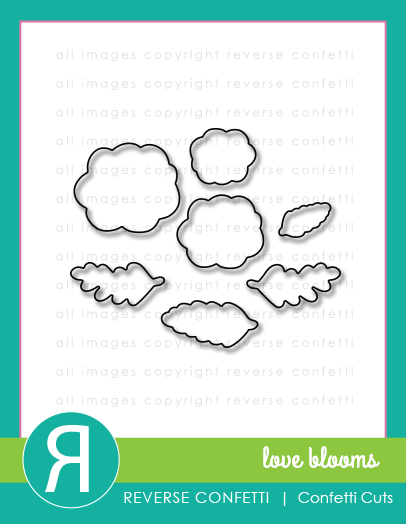 Today, I have a project I made with the Love Blooms stamps and Love Blooms Confetti Cuts! 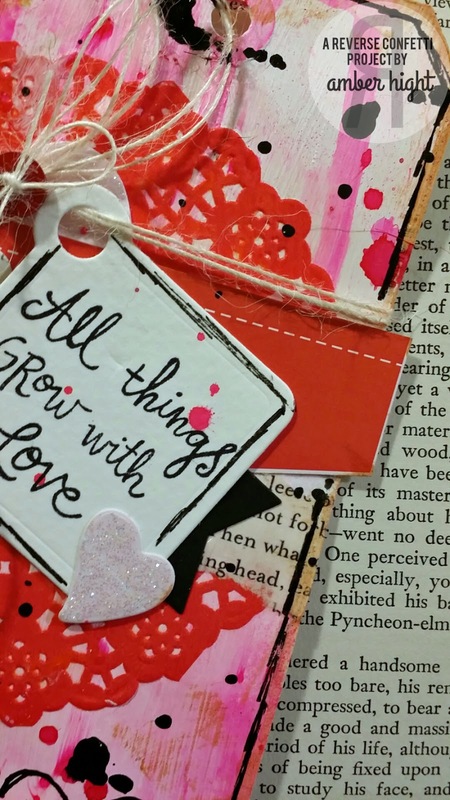 I created these fun mixed media tags! 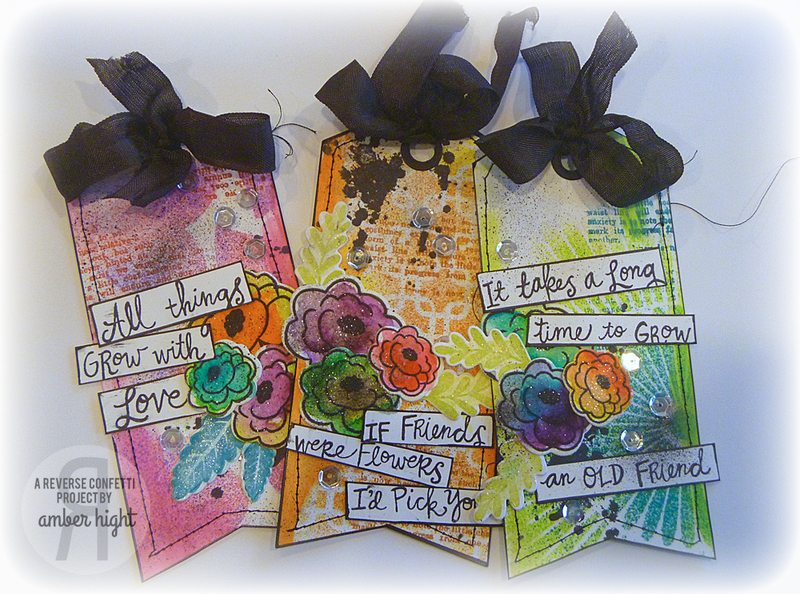 This was such a fun project, I just love color and had fun playing with colors on these tags! 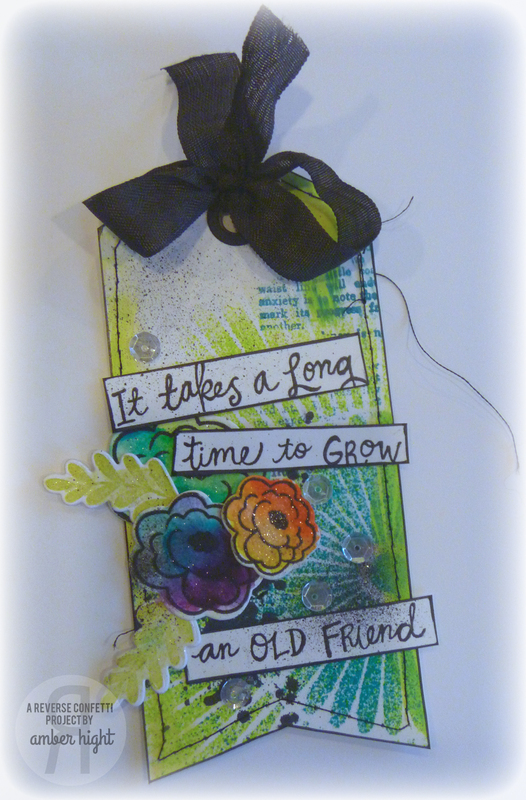 I stamped 3 of the sentiments and cut them into strips to glue down on the tag. 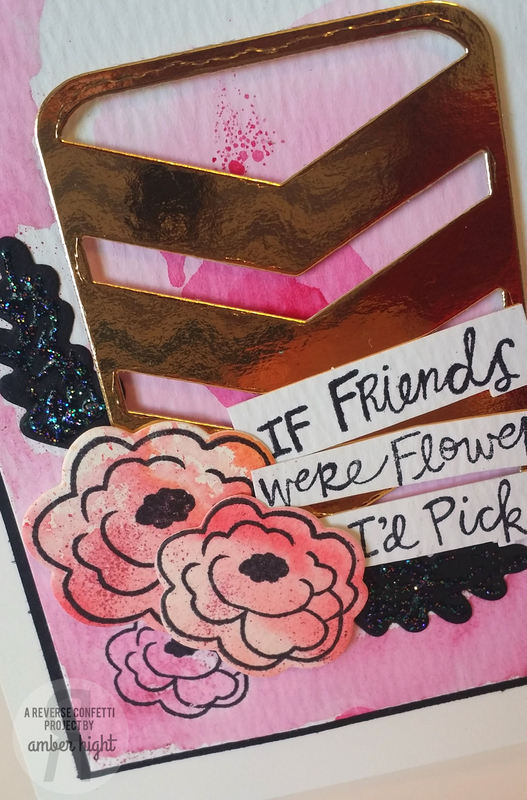 I cut the flowers with the Love Blooms Confetti Cuts out of watercolor paper and colored then with my Tombow watercolor markers. 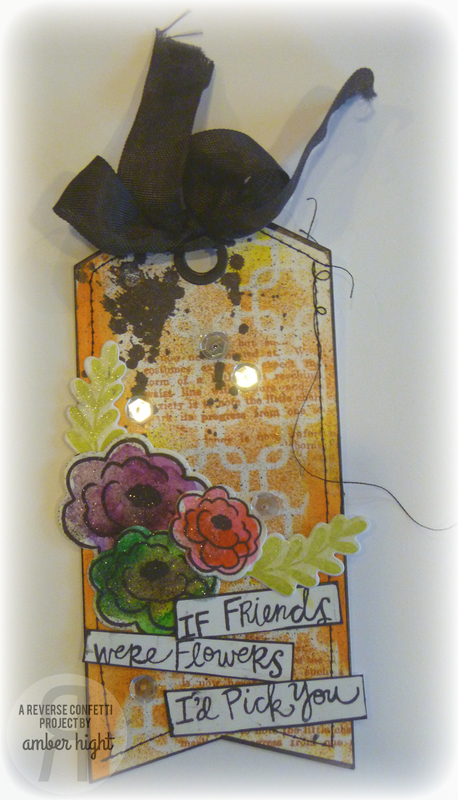 I stenciled the tag with random stencils and Dylusions spray inks by Dylusions. 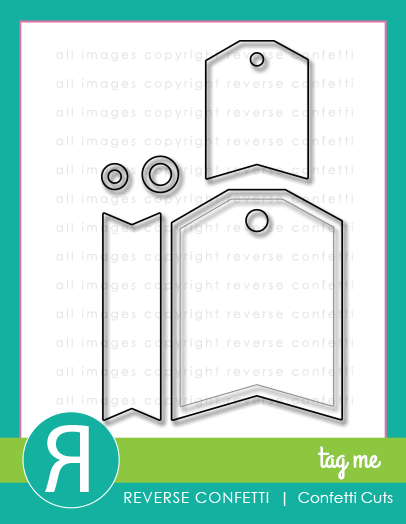 I created the tags with the largest tag from Tag Me. 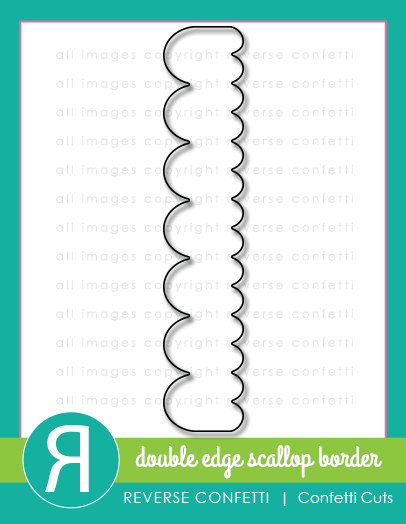 I did the partial die cut method to create these longer tags! 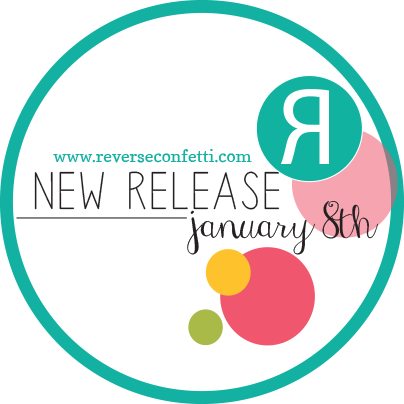 Make sure you pop on over to the Reverse Confetti Blog for more details and a list of all the blogs with new projects to share! Make sure you leave a comment on all the blogs today for a chance to win a $15 gift card to the store! You can get ANOTHER chance to win by commenting on the Facebook Post! 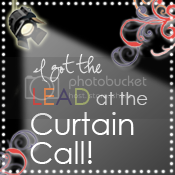 Comments will close at noon CST on January 7th and a winner will be announced at 5 pm!